During World War II, the Germans developed the assault rifle concept, based upon research that showed that most firefights happen at close range, within 300 meters. The power and range of contemporary rifle cartridges was excessive for most small arms firefights. As a result, armies sought a cartridge and rifle combining submachine gun features (large-capacity magazine, selective-fire) with an intermediate-power cartridge effective to 300 meters. To reduce manufacturing costs, the 7.92x57mm Mauser cartridge case was shortened, the result of which was the lighter 7.92x33mm Kurz (German: Short). The resultant rifle, the Sturmgewehr 44 (StG44) was not the first with these features; its predecessors were the Italian Cei-Rigotti and the Russian Fedorov Avtomat design rifles. The Germans, however, were the first to produce and field sufficient numbers of this assault rifle to properly evaluate its combat utility. Towards the end of the war, they fielded the weapon against the Soviets; the experience deeply influenced Soviet military doctrine in the post-war years. The resultant rifle, the Sturmgewehr 44 (StG44) was not the first with these features; its predecessors were the Italian Cei-Rigotti and the Russian Fedorov Avtomat design rifles. The Germans, however, were the first to produce and field sufficient numbers of this assault rifle to properly evaluate its combat utility. Towards the end of the war, they fielded the weapon against the Soviets; the experience deeply influenced Soviet military doctrine in the post-war years. According to Mikhail Kalashnikov, he began imagining his assault rifle while in hospital after being wounded in the Battle of Bryansk. A frequent topic of conversation among the patients was the lack of an automatic rifle to match those of the Germans. After tinkering with designs, he entered a competition that had been launched for a new weapon that would take the 7.62x41mm cartridge developed by Elisarov and Semin in 1943 (the 7.62x41mm cartridge predated the current 7.62x39mm). A particular requirement of the competition was the reliability of the firearm in the muddy, wet, and frozen conditions of the Soviet frontline. Influenced by the simplicity of the design of Aleksei Sudaev's PPS-43 submachine gun, Kalashnikov produced his "Mikhtim" (derived from his first name and patronymic) and won the competition after it was dragged through mud, sand, and dust and was still able to fire without jamming. The "Mikhtim" was the prototype for the development of a family of firearms which culminated in the AK-47 in 1947. Mikhail Kalashnikov denies his assault rifle was based on the German Sturmgewehr44 assault rifle despite circumstantial evidence to the contrary. 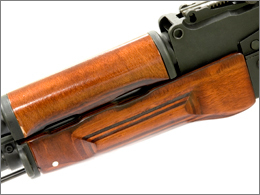 The AK-47 is best described as a hybrid of previous rifle technology innovations. 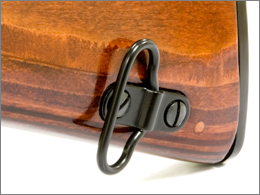 The double locking lugs and unlocking raceway of the M1 Garand/M1 carbine,  the trigger and safety mechanism of the John Browning designed Remington Model 8 rifle, and the gas system and layout of the StG44. The main advantages of the Kalashnikov rifle are simple design and adaptation to mass production; it is a fusion of the best the Garand, Browning, and StG44 had to offer. Kalashnikov's team had access to all of these weapons and had no need to "reinvent the wheel". 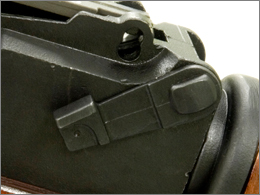 AKS-47 on a Type 4B receiver (top), with a Type 2A.There were many difficulties during the initial phase of production. The first production models had stamped sheet metal receivers. Difficulties were encountered in welding the guide and ejector rails, causing high rejection rates. Instead of halting production, a heavy machined receiver was substituted for the sheet metal receiver. 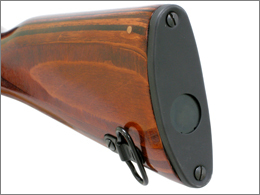 This was a more costly process, but the use of machined receivers accelerated production as tooling and labor for the earlier Mosin-Nagant rifle's machined receiver were easily adapted. Partly because of these problems, the Soviets were not able to distribute large numbers of the new rifle to soldiers until 1956. 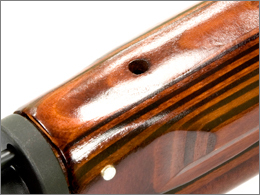 During this time, production of the interim SKS rifle continued. Once manufacturing difficulties had been overcome, a redesigned version designated the AKM (M for "modernized" or "upgraded" ? in Russian: Avtomat Kalashnikova Modernizirovanniy) was introduced in 1959. 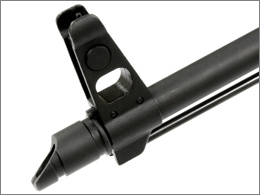 This new model used a stamped sheet metal receiver and featured a slanted muzzle brake on the end of the barrel to compensate for muzzle rise under recoil. In addition, a hammer retarder was added to prevent the weapon from firing out of battery (without the bolt being fully closed), during rapid or automatic fire. This is also sometimes referred to as a "cyclic rate reducer", or simply "rate reducer", as it also has the effect of reducing the number of rounds fired per minute during automatic fire. It was also lighter than the previous model, at roughly one-third lighter. 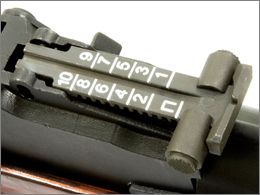 Both licensed and unlicensed production of the Kalashnikov weapons abroad were almost exclusively of the AKM variant, partially due to the much easier production of the stamped receiver. This model is the most commonly encountered, having been produced in much greater quantities. 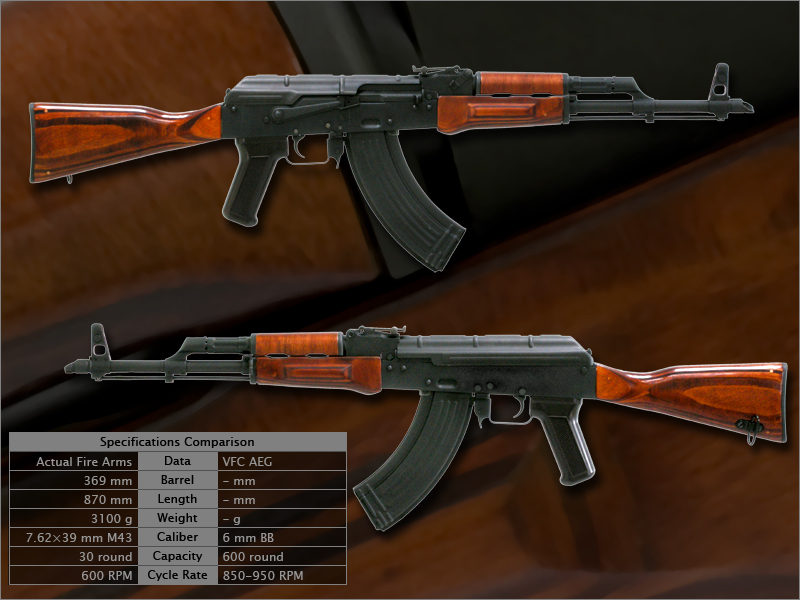 All rifles based on the Kalashnikov design are frequently referred to as AK-47s in the West, although this is only correct when applied to rifles based on the original 3 receiver types. In most former Eastern Bloc countries, the weapon is known simply as the "Kalashnikov". 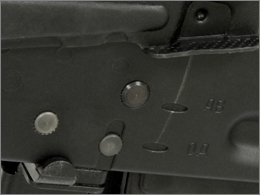 The photo above at right illustrates the differences between the Type 2 milled receiver and the Type 4 stamped, including the use of rivets rather than welds on the stamped receiver, as well as the placement of a small dimple above the magazine well for stabilization of the magazine.